Have you ever wished that you could get your hands on an invisibility cloak like what’s used in JKK Rowling’s Harry Potter series? Imagine the cool things you could do with that? Well, we might not be able to have an invisibility cloak but there is a relatively new product on the market today that can very well mimic this sort of effect with surprisingly good results. 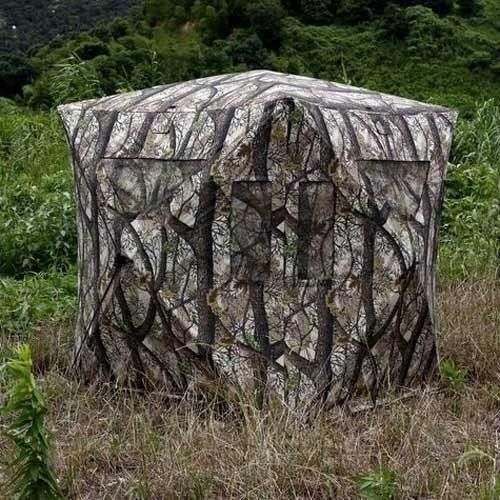 It’s called the GhostBlind and it is marketed to the hunting community but I see some fantastic applications for preppers (which I’ll get into in a second). 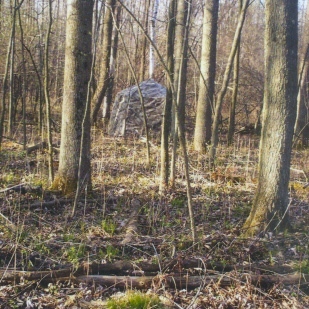 A GhostBlind is basically a portable hunting blind (or hide area) that conceals you from your quarry. What makes it unique or different from other blinds? Well, typically when you set up a blind it is either one that is made from natural materials or a commercially made “portable” blind. The problem is, once it’s set up (which can take some time), it’s not possible to simply pick it up and place in a new area. It’s basically married to the spot that it’s in. To remedy this, the hunting-sport marketplace has a number of portable blinds that are basically camouflaged shelters that are easy to set up like a tent. 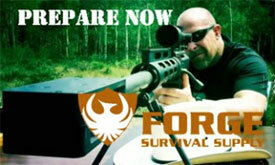 These are intended to be placed in an area that is frequented by your game (like deer or turkey). 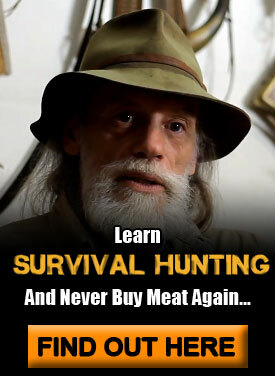 Why use it in hunting? Well, the goal with this type of blind is that you want your quarry to become used to or “acclimated” to the blind, so over time they don’t see it anymore. Once they habituate around it, it becomes a very effective hunting tool. What a Ghostblind does is takes the best of both worlds. You have a tool that can make you invisible in any environment AND it’s super portable. 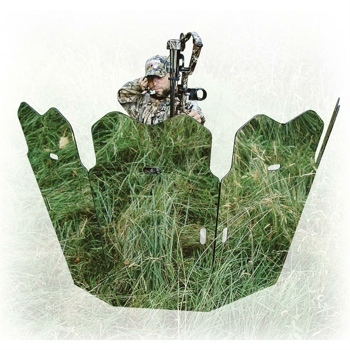 How Does a GhostBlind Work? The way it works is actually very simple. Is it Really That Effective? With regards to hunting (its intended purpose) I’ve had some fantastic results. Just recently, I was on a turkey hunt with my friend and I decided to test this GhostBlind out for the first time. 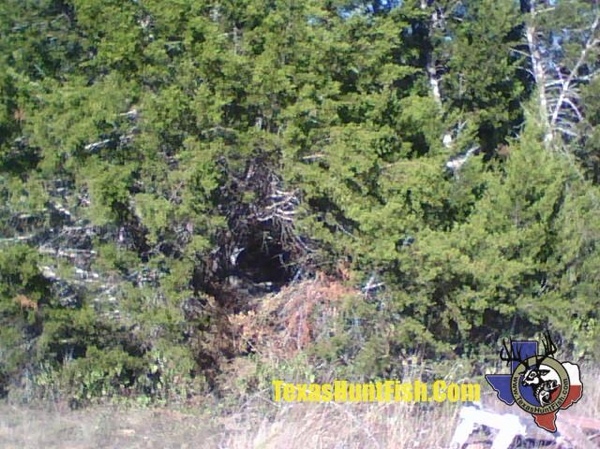 My friend was buried deep in a thicket (how we normally hunt turkey), completely camouflaged from head to toe, and was making a hen call to draw out a Tom so that we could fill our tag. Sure enough, after a few minutes a Tom, looking for some action, came strutting out into the open within 5 yards of my blind. Now keep in mind, I did not have any camouflage on whatsoever. Unlike my friend, I wasn’t buried deep in a thicket but I was completely exposed and out in the open. The only thing I did use was a camouflage headnet to break up the features of my exposed and non-camouflaged face peeking over the top of the blind. So how did it turn out? Well, that turkey was on the menu that night. For those of you who aren’t too familiar with hunting or hunting turkey, let’s just say it is even more impressive when you realize that one of the best senses a turkey has is its sense of sight. It’s actually quite amazing how good their sight is. If any of your camouflage isn’t just right, or you’re not hidden in the right way, or you make a wrong motion, then the turkey immediately will do it’s “putt, putt” alarm and take off running. They especially get super-wary at the end of the hunting season (which is when my friend and I were testing the blind). The fact that I was completely out in the open and the turkey hadn’t noticed me shows that, for all extents and purposes, I was invisible to that very aware bird. Besides hunting and acquiring food, how does the GhostBlind relate or apply to prepping? Well, going back to hunting, one of the great things about this blind is that it is super light and easy to carry into the field. The advantage of this is that you can set the blind up practically anywhere with fantastic results. So, in other words, you don’t need to set up a more permanent blind as you would normally do when you hunt – thereby making your presence known to others that might be hunting or traveling in that area. So again, it allows for very easy setup and takedown which makes it super discrete. 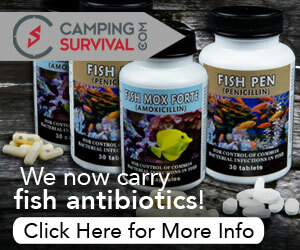 The other advantage is that it works very well against two legged creatures – in other words, man. For example, I love to do nature observation and photography and this blind has come in real handy for that. While I am out in the bush, I will set up the GhostBlind oftentimes in the middle of a field to observe deer and other wildlife in their natural environment. I’ve often had hikers and other people walk right by the field within yards of where I was setup (again, out in the open) and not see me. I’m sure by now the wheels in your head are spinning and you can see the application as far as defense of your retreat or home with a blind such as this. Since you know the secret of how this blind works, you may have picked it out but hopefully you still can see the benefit that it provides. Of course, the downside of this blind is that it is not bulletproof — it may make for good concealment but it definitely makes for terrible cover. If you did want to make a more bulletproof type of a blind then I would recommend making one of those bulletproof, portable walls I demonstrate in my Prepper Academy course. These would go hand-in-hand with this type of blind. Also if the blind were to be situated in front of some type of cover like a stone wall or something similar then it would also be very effective as both a great form of concealment as well as cover. I’m sure you guys can think of a lot of other applications but so far these are some of things that have come to mind for me.